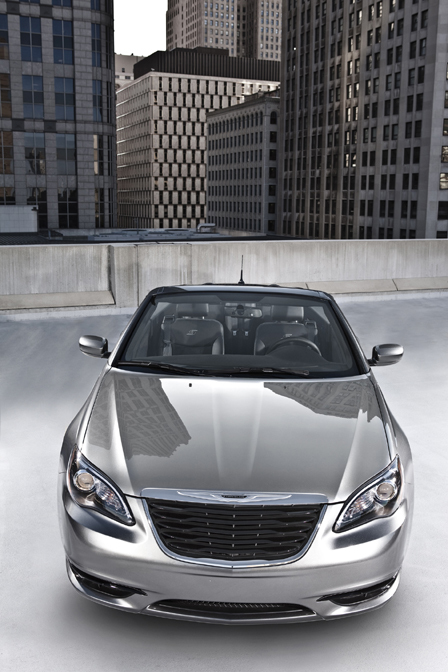 The Chrysler 200 is a different breed in the convertible segment. Many buyers in this segment look for two-seater roadsters or 2+2 models that, unfortunately, give short shrift to the rear seat occupants. That’s exactly what the 2011 Chrysler 200 Convertible is not. The re-engineered and redesigned Chrysler convertible (formerly the Sebring) is the ideal vehicle for the mature, sophisticated convertible buyer looking for classic American styling, who values real room for four people and ample trunk space when the top is down. This buyer wants to go places with other people in a true midsize car that happens to offer the option of open-air driving. Chrysler’s new 200 comes in two automatic convertible top choices: a power-operated retractable hard top or a cloth soft top. 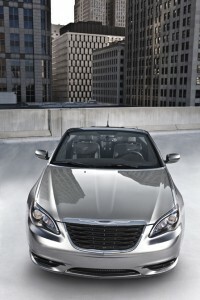 Model availability includes the Touring, Limited and S. Prices on the 2011 Chrysler 200 convertible begin at $26,445. Chrysler offers convertible drivers two engine choices. The Touring is standard equipped with the 173-horsepower, 2.4-liter four-cylinder mated to a six-speed automatic transmission. The 200 is offered as a front-wheel-drive model only and receives EPA estimated fuel economy ratings of 18 miles per gallon city and 29 mpg highway. The 200 Touring convertible comes with the cloth soft top, cloth seats and a six-way power driver’s seat. Safety equipment includes four airbags, electronic stability control, ABS, traction control and active head restraints. Convenience and comfort are covered in standard items like air conditioning, steering-wheel-mounted redundant controls for radio and phone, and a six-speaker Sirius/AM/FM/CD/MP3 sound system. The automaker’s top-of-the-line convertible is the 200 S, which Chrysler describes as the “appearance and attitude” model. Priced at $32,490, the S brings 3.6-liter V-6 performance, along with style in unique design cues separate from the Touring and Limited. These include blackout headlamp surrounds, dual bright exhaust tips, 18-inch tuner-inspired aluminum wheels, unique finish on the grille and foglamps, as well as body-color mirrors and door handles. Our tester was the middle child, the Limited, with a base price of $31,240. The power retractable hard top on the tester was an extra cost option of $1,995. We received a few questions on the location of the top’s power button, which may not always be in view if the sliding center armrest is pulled all the way forward. Slide the center armrest back and the power switch location is clearly visible. The power hard top is a smooth, mechanical operation that raises and retracts in 30 seconds. The 200 Limited is standard equipped with the 283-horsepower 3.6L V-6 that has a torque output of 260 lb.-ft. and is also coupled to the same six-speed automatic found in the 2.4L four-cylinder. Mileage economy is ranked at 19 mpg city and 29 mpg highway. The 200 Convertible is based off the 200 Sedan. Some body shake and vibration were apparent on less improved secondary roadways. However, Chrysler engineers worked to improve some of these factors over the previous Sebring with a newly retuned suspension. TURNING CIRCLE (curb-to-curb) 36.5 ft.